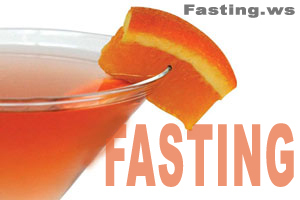 Reasons for Fasting: Spiritual upliftment; Better health; Back pain and joint pains from excessive sport (knees); weight loss will be nice. Weigh 87kg and would like to be under 80kg. Sorry I don’t understand pounds. Proposed Fasting Method: Juice for 5 days. then 2 days water. And on and on. Relevant Medical History: Nerves are weak on the left side. Present Medical Problems: knees are letting me down, injured my back from a terrible fall at soccer. State of Mind: Pretty good. Did about 12 days of the muslim style of fasting during which my weight never shifted (lol) and decided to upgrade to a proper fast yesterday 24th of Aug. I am pretty high spirited. Limitations: have to work. run my own business so its difficult to switch off properly. not entering the spiritual zone i want. Also have my wife to pay attention. what to do. i love her.